When it comes to big box stores, you can’t really get any greener than IKEA. From banning the sale incandescent bulbs to pledging to use only sustainable cotton, the Swedish furniture giant is leading the way for more earth-friendly mega retailers. Plus, the company is seriously dedicated to using renewable energy. They’ve installed solar panels on dozens of stores, are working on a wind farm, and the UK arm of the company has recently pledged to use 100 percent clean energy to power all of its stores. If every big box store was as green as IKEA, the world would be a much better place. IKEA has not set a deadline for using 100 percent renewable energy, but by 2015, the company’s green energy consumption could reach 80 percent. A whopping 30 percent of the clean energy will come from a recently purchased 12.3 MW wind farm in Huntly, Scotland. IKEA also has wind farms in other European countries, including Denmark, France, and Germany, making the company’s total wind power capacity 127 MW. In addition to the increased wind power, IKEA is installing 39,000 solar panels atop its UK stores. IKEA’s Chief Sustainability Officer Steve Howard has made it clear that a major reason for the retailer’s commitment to renewable energy is to protect the company from spiking energy costs. By generating its own energy through wind and solar, IKEA avoids fluctuating energy prices, which already cost the company $1.7 billion every year. Still doesn't change the fact that IKEA depends on a massive influx of drivers to come to buy their stuff. People in Canada became upset with IKEA when researchers discovered that IKEA charged as much as twice the price in their Canadian stores for the same items sold in their American stores, despite the Canadian dollar reaching parity with the U.S. dollar at the time. In some states they've passed ridiculous laws for big box stores. One required a new hardware store and IKEA to build bike racks for shoppers. I can just imagine someone biking home with their recently purchased 150 pound ready to assemble couch or towing a little red wagon behind their bike to pull an 400 pound table saw. 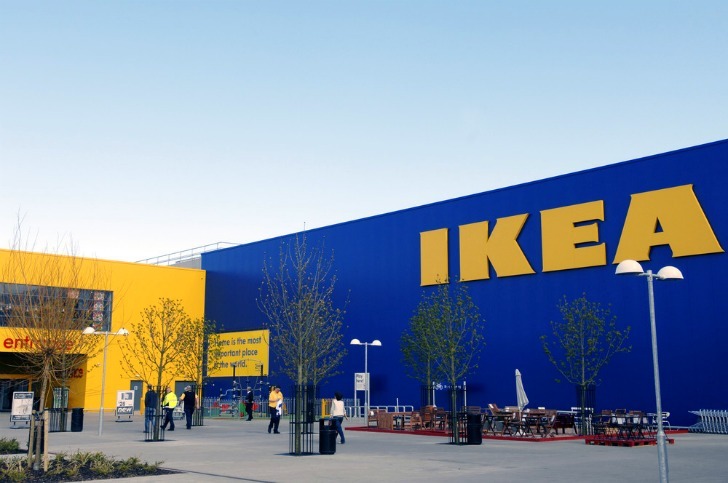 When it comes to big box stores, you can't really get any greener than IKEA. From banning the sale incandescent bulbs to pledging to use only sustainable cotton, the Swedish furniture giant is leading the way for more earth-friendly mega retailers. Plus, the company is seriously dedicated to using renewable energy. 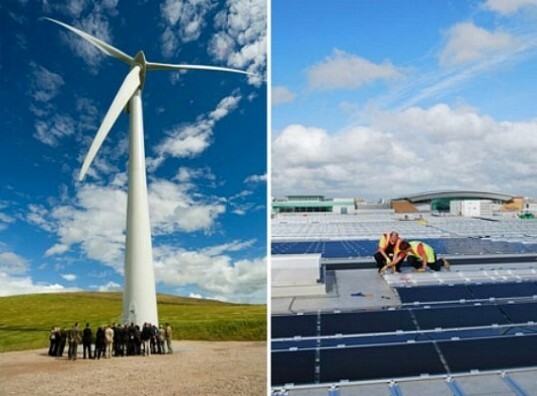 They've installed solar panels on dozens of stores, are working on a wind farm, and the UK arm of the company has recently pledged to use 100 percent clean energy to power all of its stores. If every big box store was as green as IKEA, the world would be a much better place.